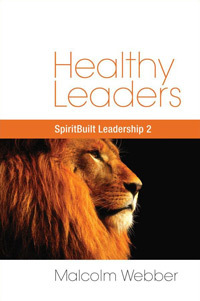 In our previous Letter, we presented a summary of the “5C Goal” and the “4D Process” of healthy leader development. A spiritual environment, involving relationship with God (with Himself, as well as with the Father through prayer). A relational web, involving relationship with a mature leader (Himself), and relationships with others (the community of the disciples). An experiential context, involving challenging assignments, pressure and a diversity of learning opportunities. Then, in that transformational context, He instructed them – the content of development. Thus, context + content = the process of leader development. Bjorn is a Swedish immigrant to the U.S. He married a Swedish woman and they both live in Kalamazoo, Michigan. They have one son who is now six years old. However, at school and in the local neighborhood, the only language spoken is, of course, English. The little boy knows a few words of Swedish, but speaks English most of the time – even when he’s at home, communicating to his parents who speak to him in Swedish. They are saddened by this and do not understand why he can’t seem to learn Swedish very well. In other words, context plays a powerful role in learning! Consequently, we should give as much attention to designing context (the relational web and the spiritual and experiential environment) as we do to designing the instructional content. Our ultimate goal in leader development design is to seamlessly merge context and content into one united collage of transformation. In a good design, context will become content, content will become context; like many colors all coming together in one ray of light, like many threads becoming one garment. Like Jesus, for Paul, the teaching of the Scriptures was not effectively accomplished in an artificial environment, separate from the realities of life, relationship and experience. We say we believe in the Truth and power of the Scriptures, but when we try to build leaders through instruction only, we violate the very Scriptures we claim to be teaching! If we are to build healthy Christian leaders we must rediscover the biblical art and science of design. We must design transformational environments that are strong spiritually, relationally and experientially, and, in that context, deliver biblical instruction. For more information see our learning opportunities! In our next Letter, we will continue in this area of leader development.